Formerly St Ebba’s Church of England School (1876 – 1964) the converted building was opened as a Village Hall (otherwise known as Ebchester Community Centre) in 1974. Owned and managed by Ebchester Community Association, the Hall is used for recreational and educational activities. 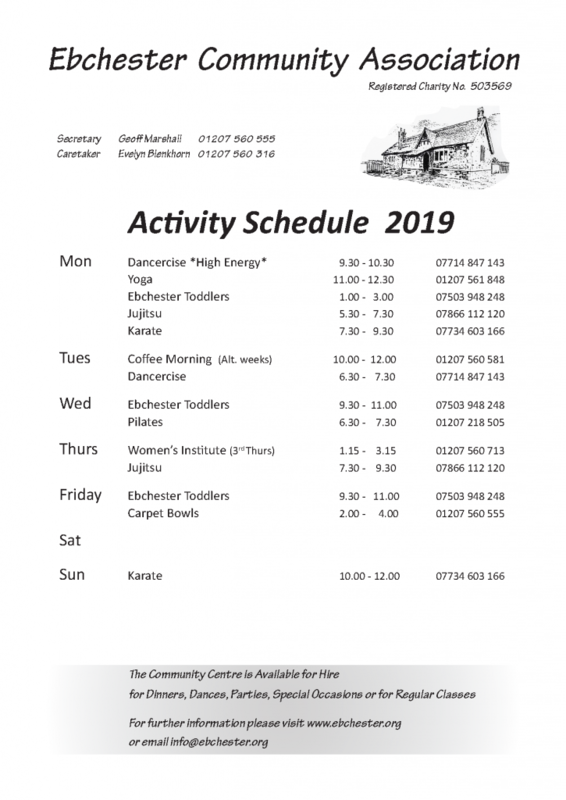 Regular activities which currently take place include: Carpet Bowls, Karate, JuJitsu, Pilates, Dancercise) Ebchester Toddlers, Yoga, Women’s Institute and Coffee Mornings. 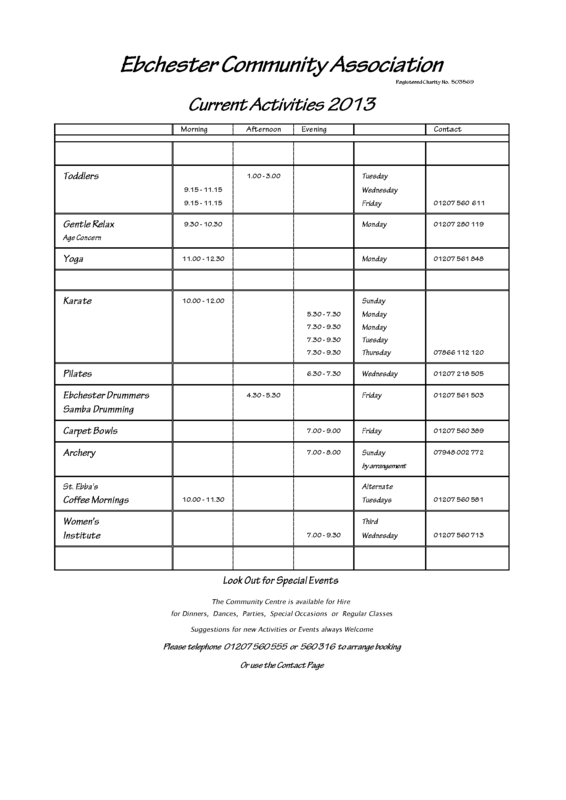 There are also occasional social functions held throughout the year.